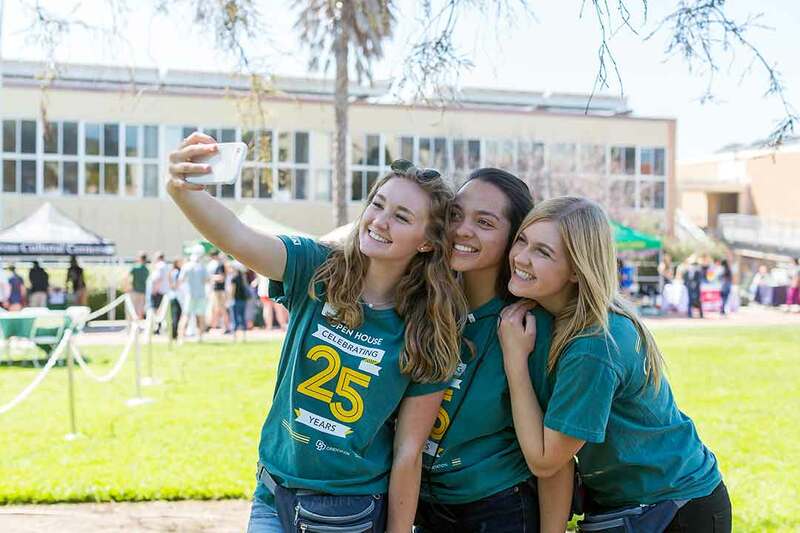 SAN LUIS OBISPO — Cal Poly’s 26th annual Open House welcomes prospective students and their supporters, current students, faculty and staff, alumni, and the San Luis Obispo community to festivities Thursday through Saturday, April 11-13. Open House celebrates the achievements of past and current Mustangs and provides prospective students the opportunity to take part in campus traditions and show off their school spirit as they prepare for their time at Cal Poly. On April 11, prospective students and their families visit the Campus Preview Night at Farmers Market in downtown San Luis Obispo. On April 12, Admitted Students’ Discovery Day allows prospective students and their families to become acquainted with the students’ future academic careers. Students will be encouraged to start thinking about their course of study as they learn about their future curriculum, hear from college deans, and meet with faculty and current students. That evening, at Friday Nite Invite, prospective students can meet each other and catch a glimpse of Cal Poly’s campus culture. On Saturday, April 13, the public is invited to campus as Cal Poly holds its Poly Royal Celebration, during which more than 200 student clubs and organizations will demonstrate the university’s Learn by Doing philosophy. Special events include the Poly Royal Parade, Kids’ Zone, live music at Dexter Stage, the Poly Royal Truck and Tractor Pull, the Poly Royal Rodeo, and the Cal Poly Alumni Beer and Wine Garden. 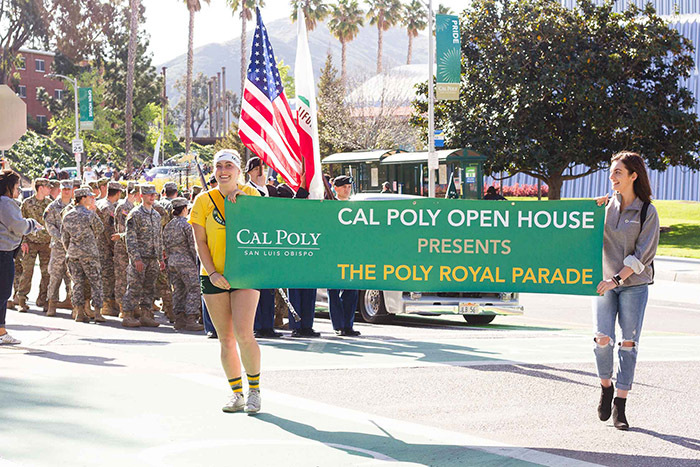 Open House is intended to foster relationships with community members, local businesses, campus departments and student groups so that prospective students will have access to these resources while attending Cal Poly. This year, the Open House Committee is recognizing Cuesta College President Emeritus Gil Stork, a Cal Poly alumnus, as Poly Royal Parade grand marshal for his contributions to higher education on the Central Coast. For a full schedule of events, download the Cal Poly Now mobile app in the App Store and Google Play, and search for the guide Open House 2019. For more information about Cal Poly’s Open House weekend, go to: http://orientation.calpoly.edu/openhouse, or call New Student and Transition Programs at 805-756-2400. Photo information: Images of Open House 2018.